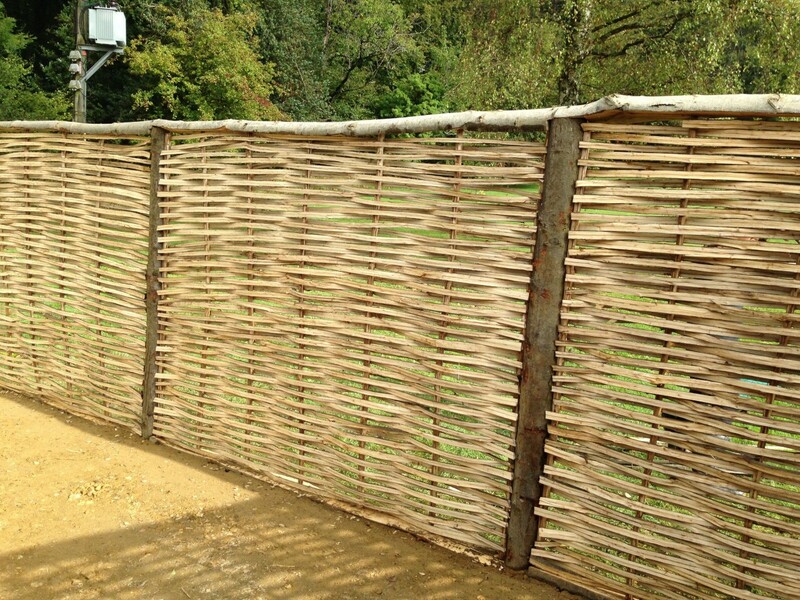 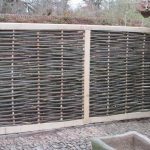 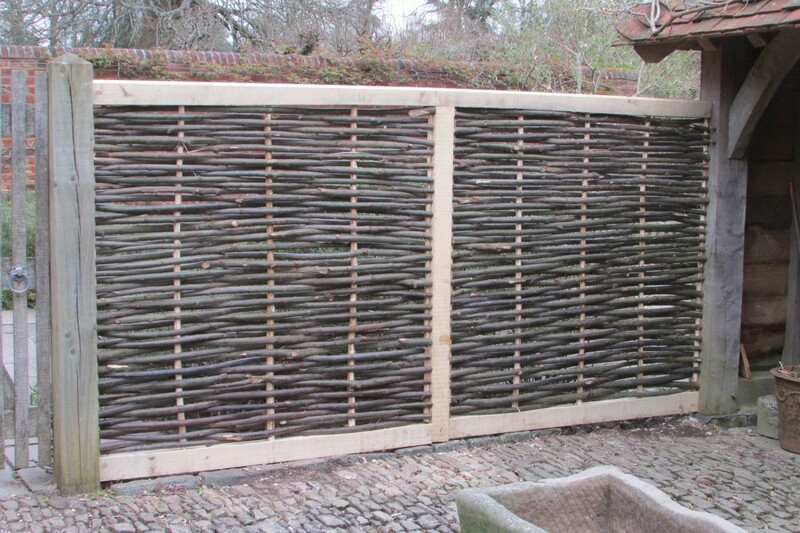 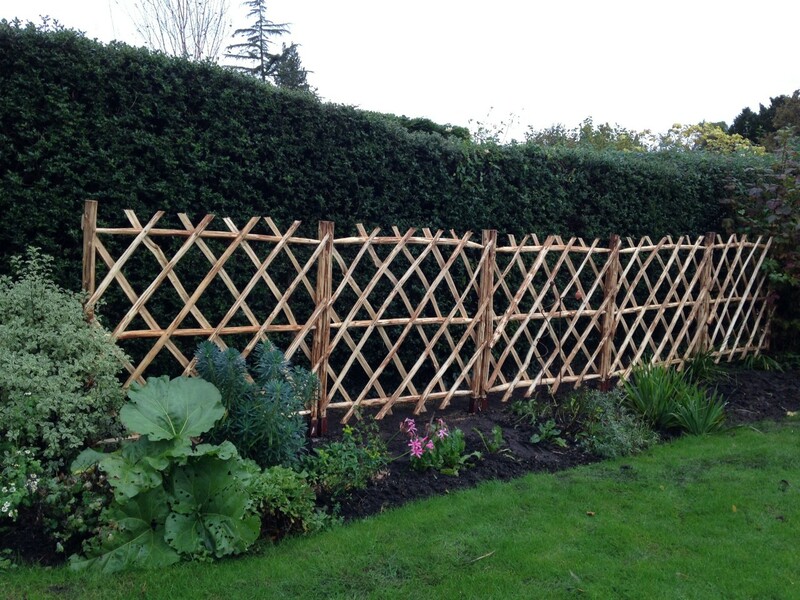 Woven within a chestnut roundwood or sawnwood panel, these are attractive long lasting woven fences. 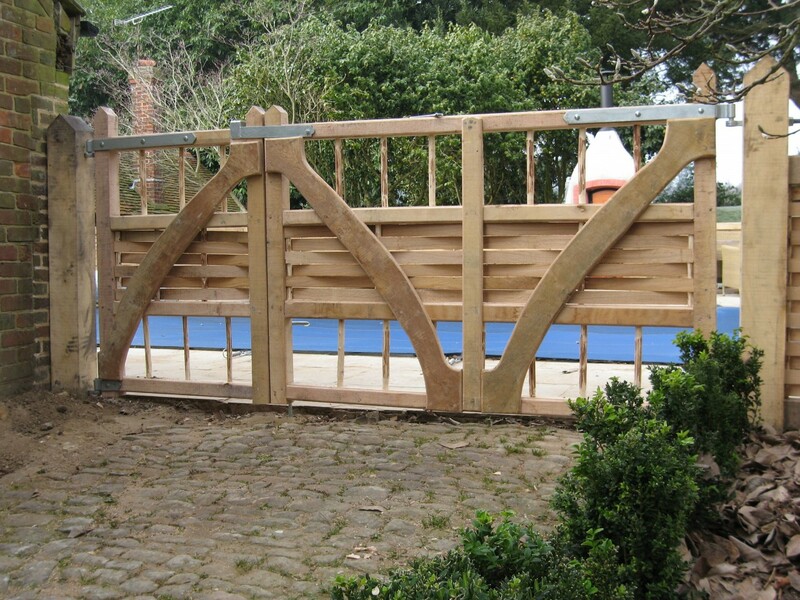 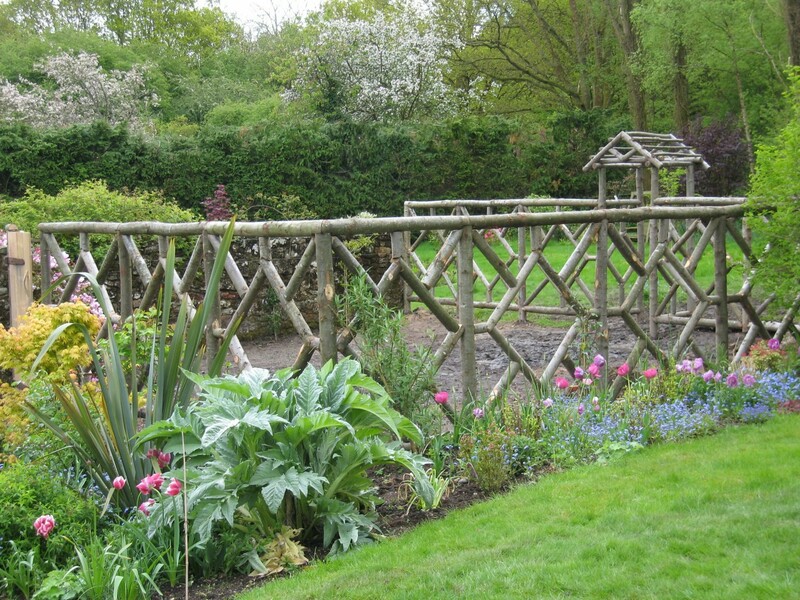 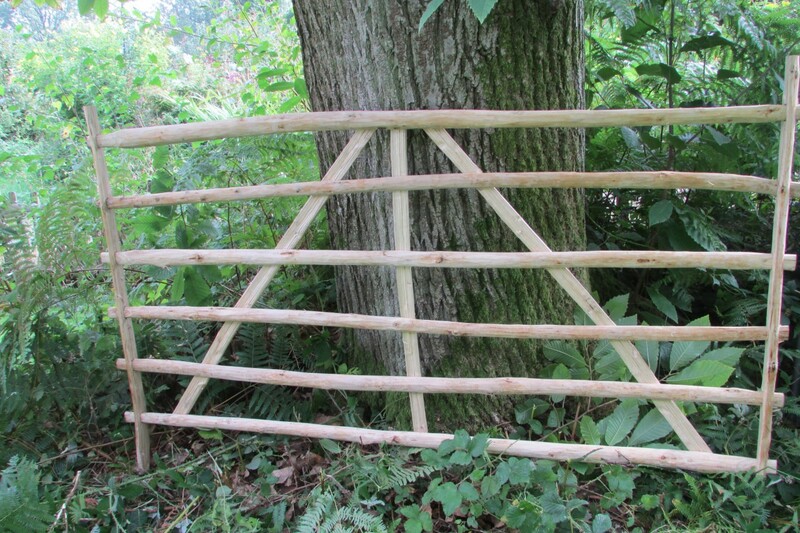 ALL FENCING AND TRELLIS CAN BE CONSTRUCTED WITHIN A 15 MILE RADIUS OF PRICKLY NUT WOOD. 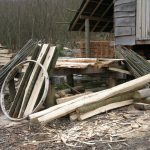 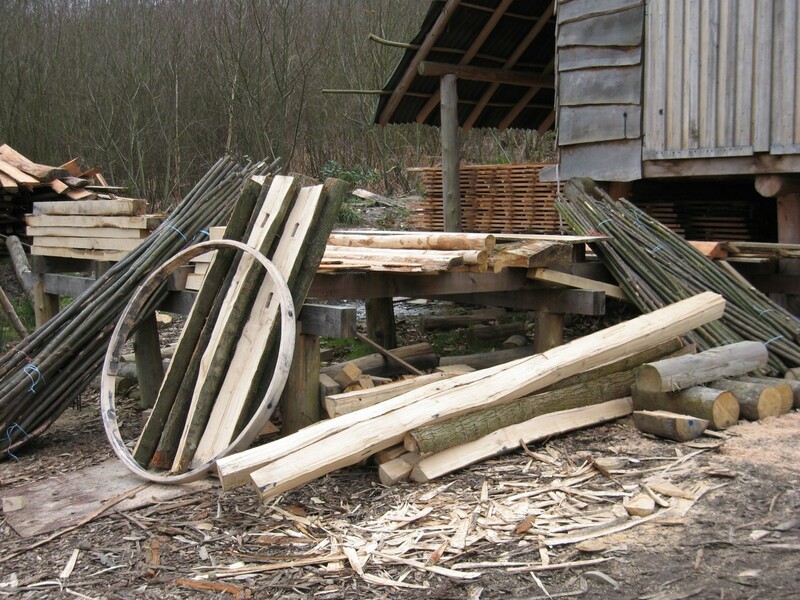 FOR THOSE FURTHER AWAY, A KIT OF COMPONENTS CAN BE SUPPLIED, TO BE COLLECTED FROM THE WOODYARD OR DELIVERED BY COURIER.